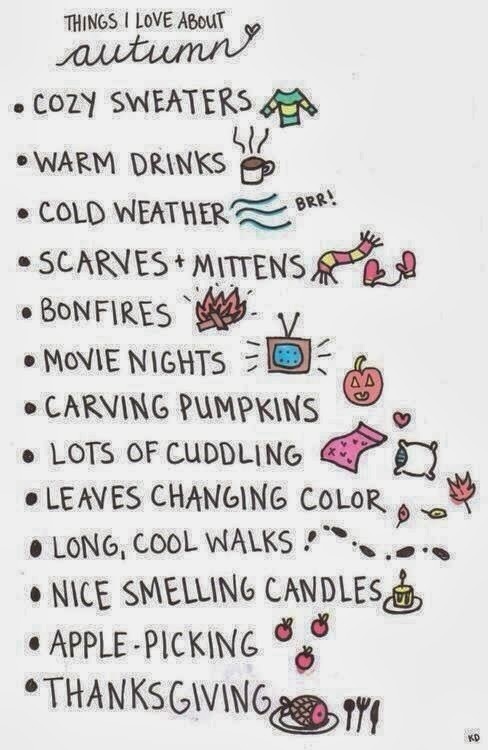 I was going to make a list of all the things I love about Fall to share with you. But this list sums it all up. Ps. Check out my Fabulous Fall Pinterest board!